Elegance defined. 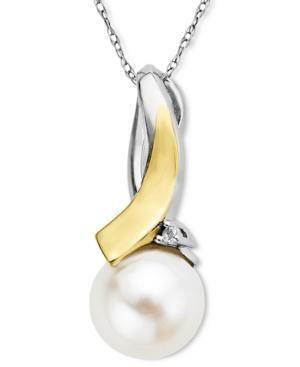 This sweet sweep of 14k gold and sterling silver cradles a cultured freshwater pearl (9mm) and a sparkling diamond accent. Approximate length: 18 inches. Approximate drop: 1 inch.